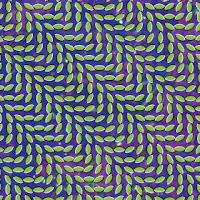 Animal Collective is masterfully, almost perfectly, of its time. Combining an independent, do-it-yourself ethos with indie rock positivity and avant-garde experimentalism, the group has a unique and identifiable sound that can be traced back to an overwhelming number of influences, musical and not. Ultimately, however, the band’s sound is indebted only to the unrestrained creativity and joyous embrace of life and the human experience shared by the musicians involved. Unlike other successful bands of today that use overtly technological means to supplement songs full of paranoid observations about technology, Animal Collective absorbs modern recording capabilities into an environmental reality that supports their songs’ vision of humanity in modern times. By doing so, they manage to sound very “2000’s” while simultaneously incorporating organic textures and lyrics that celebrate the timeless virtues of life, love, family, and the simple, beautiful act of existence. It is this earthy approach to their art that earned them the label “neo-psychedelia,” not just the otherworldly feelings they manage to craft and evoke. Merriweather Post Pavilion has already built up a deafening amount of buzz, with the general consensus supporting Panda Bear’s assertion that the album is their best recorded to date. It’s certainly their poppiest, which, applied to a more cynical band, would be considered a derogatory statement; instead, it’s a natural extension of Animal Collective’s sound. On Merriweather, the band fills in the open, empty sonic spaces that marked their earliest releases with less a “wall of sound” and more an entire panorama of sound. To try to choose highlights might be moot, but the triumphant opener “In the Flowers” and tender late-album “No More Runnin” are certainly worthy of honorable mention. Songs like “Guys Eyes” and “Lion in a Coma” evolve dramatically and melodically, taking the expectedly unexpected turns that can be expected of Animal Collective. And although “My Girls,” a bouncy tribute to family, and “Summertime Clothes,” with its irresistible “and I want to walk around with you” chorus, have been singled out already as party jams that will be heard endlessly in the weeks and months to come, Merriweather Post Pavilion will be played endlessly, in its entirety, throughout 2009.